Here is a list of wannafoodie recipes for you... to help you make up your mind! Categories thus far... Breakfast, Little Things, Sandwiches, Mains, Rice or Pasta, Sides, Helpers, Soup, Sweetie Treaties, Cookies, Frosting, Beverages. If you have any comments or suggestions, please drop me a line on the blog or on the wannafoodie facebook page! Baked Eggs - A ramekin filled with egg, cream and fillings! Breakfast in a Bar - Nuts, grains and berries in grab-and-go form. Candied Ginger and Lemon Cornmeal Scones - The name says it all. Creamy Dreamy Scones - Creamy scones with blackberries. Dulce de Leche Buns - Sweet buns filled with dulce de leche and pecans. Easy Peasy Turnovers - Puff pastry turnovers in a flash. Eggs Benedict - The classic benny. Granola - Oats plus imagination! Pumpkin Bread Pancakes - Subtly spiced and full of pumpkin. Raspberry Maple Croissant Pudding - Decadent for brunch but gloriously special too. Solo Pancakes - Just a few pancakes... for one or two. Menu One - Baked Eggs, Arabian Mornings (watermelon salad) and Sticky Buns! Menu Two - Pumpkin Bread Pancakes, Citrus Spiced Butter, Homemade Granola and Sangria! Asiago Cheese Puffs - Puff pastry twists with asiago cheese. Coq au Vin... day two - Coq au vin leftover ideas. wannafave: Mushroom Crostini - Sauteed mushrooms on crisp bread. Oven-roasted Chickpeas - Crispy yet tender bites of chickpea. Radicchio Crostini - Softened, sweetened radicchio on crisp bread. Tomato Bruschetta - Tomato, basil and mozza on crisp bread. Crab Salad Sandwich - Crab and fresh flavours. Eggie Sandwich - Eggie salad! 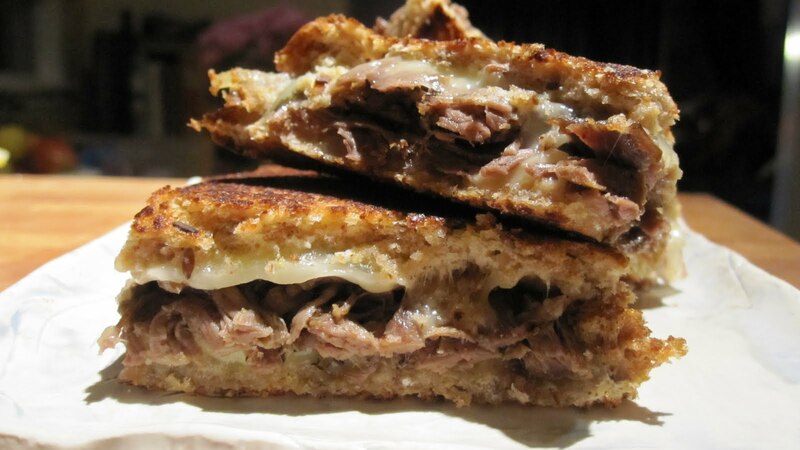 wannafave: Manly Grilled Cheese Sandwich - Short ribs and cheese. wannafave: Asian Marinated Chicken - Asian glazed thighs. Blue Burger - Blue cheese, balsamic and carmelized onion burger. Cedar Plank Snapper - Lime and cedar planks helping this snapper. Chiles Rellenos - Cheese stuffed pepper. Duck Breast with Orange Pan Sauce - I love duck. Itali-Burger - Italian flavour infused burgers. wannafave: Marinated Beef Tenderloin - Tender beef scented with lemon and olive oil. Oven Fried Chicken - Crisp chicken without the frying. Pesto Halibut - Pesto and panko crumb topped halibut. Ratatouille - My take on a hearty French vegetable stew. Recado Tacos - Tacos featuring leftover tamarind recado pork. Roasted Chicken Thighs - Classic roasted chicken pieces. Tamarind Recado - Salty sweet tomato pork. Turkey Pot Pie - A creamy sauce makes turkey leftovers tastier. Vodka-Marinated Steak - Vodka tenderized thinly sliced steak. Asparagus Risotto - Asparagus and lemon are front row in this risotto. Blue Carbonara - Spaghetti carbonara using Cambozola. Greg's Fresh Pasta - Fresh tomato, basil and parm over spaghetti. Many Mushroom Risotto - As much mushrooms as rice in this risotto. 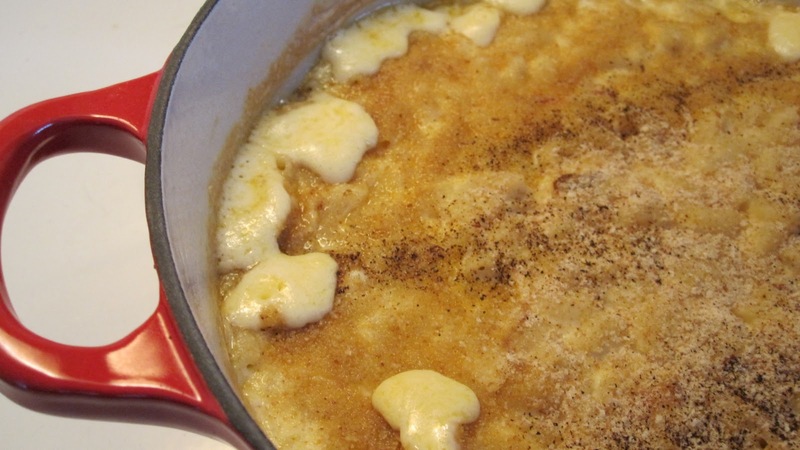 wannafave: Smoky Mac and Cheese - Cheesy, creamy mac and cheese. Arabian Mornings - Watermelon salad with rose water and mint. Bacon, Avocado and Sundried Tomato Salad - A satisfying salad. wannafave: Barbequed Corn - Flavour infused grilled corn. Creamy Dilled Potatoes - Exactly... creamy dilled new potatoes. Fries - Crisp oven-baked french fries. wannafave: Poutine - Gravy, cheese and fries... yum. Roasted Yams and Carrots - Roasted yams and carrots... obviously. Super Duper Louise Potatoes - Kid-made roasted potatoes. Tabbouleh - Couscous, lemon, parsley... a fresh salad. Yam Fries - Oven baked yam fries. Arugula Almond Pesto - Instead of basil and pine nuts! Homemade Butter - Just like the name says! Citrus Spiced Butter - The name says it all. Gravy on the Fly - Quick and easy, no roast required, gravy. Toothy-Grainy Brown Bread - Easy grainy rustic loaf of bread. Christmas Leftover Soup - Turkey and the fixings... in a soup. Roasted Carrot, Carmelized Onion and Ginger Soup - Sweet and fresh with ginger. wannafave: Roasted Yam and Smoked Gouda Soup - Creamy and sweet. Thai-inspired Coconut Chicken Soup - Chicken soup rich with coconut and lime. Tortilla Soup - Mexican chicken soup. Apple Pie - The Millers-style apple pie. Banana White Chocolate Pecan Muffins - Perfectly sweet... yet justifiable at breakfast! Chocolate Cloud Cake - Flourless chocolate cake. Chocolate Gingerbread - Chocolate and ginger star in this dense cake. Chocolate Macarons - Chocolate macarons filled with caramel. Chocolate Stout Marshmallows - Chocolate, beer, pretzel, marshmallow! Dulce de Leche - "Milk candy"... think caramel sauce. Exotic Rice Pudding - Coconut milk infused rice pudding. Grilled Pear and Mascapone Tart - Homemade mascarpone and grilled pears in a graham crust. Meyer Lemon Curd - Sweet, tart... infinitely impressive. Meyer Lemon Marmalade - Five lemons, sugar, water... well, that's nearly all that is required! Orange and Blackberry Marmalade - More fruit than sugar and wonderfully so. Paprika and Maldon Salted Almonds - Candied spiced nuts that you can't stop eating. Pate a Choux - Make cream puffs or eclairs or gougeres (cheesy puffs!) with this dough base. Pecan Coconut Brittle - Salty-sweet treat on its own or over ice cream! Peppermint Marshmallows - I love marshmallows (well... in hot chocolate anyway)! Pretty Poached Pears - Pears poached in a fruity red wine. Quince de Mayo Macarons - French macarons filled with dulce de leche. Raspberry Maple Croissant Pudding - Sweet but not too sweet... spin on bread pudding. wannafave: Raspberry Souffle - A raspberry cloud with a hidden chocolate truffle within. Red Velvet Cupcakes - Cocoa and red food colouring make this cake. Salted Caramel Fudgy Brownies - Gooey brownies and salty caramel. Vanilla Cream Cookies - Puffy pastry sandwiching vanilla cream. Vanilla Marshmallows - Four ingredients + 1 flavour = marshmallow heaven! Autumnal Sugar Cookies - A less sweet, slightly spiced sugar cookie with maple icing. Peppermint Hot Chocolate Cookies - Rich chocolate cookie with a peppermint marshmallow hidden inside! Maple Icing - Perfect for your sugar cookies! Aperol Spritz - Fruity, slightly bitter, slightly sweet... aperitivo or cocktail. Apple Mint Mojitos - Mojitos with apple syrup and apple mint. Hibiscus Syrup - Floral, refreshing addition to your cocktails! Hot Hot Chocolate - Hot chocolate with chili for extra heat. Pumpkin Spice Lattes - My version of a favourite expensive coffee! Sangria - Tempranillo plus rich fall flavours.